Audrey Beck is a law student at the University of Notre Dame, and she will soon clerk for Justice Joan L. Larsen on the Supreme Court of Michigan and then Judge Jeffrey S. Sutton at the U.S. Court of Appeals for the Sixth Circuit. 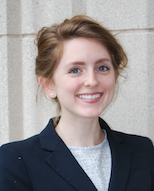 Ms. Beck is editor-in-chief of the Notre Dame Law Review and a summer associate for Jones Day. She previously served as a clerk in the Office of the Indiana Attorney General, where she assisted in defending state laws and regulations against state and federal challenges. Prior to law school, Ms. Beck worked as a research assistant at The Heritage Foundation. She holds a B.A. in International Studies from Cedarville University. Morgan Bennett clerks for Judge Jennifer Walker Elrod on the U.S. Court of Appeals for the Fifth Circuit. Ms. Bennett previously clerked for Judge Ronald S.W. Lew on the U.S. District Court for the Central District of California. As a law student, she served as a literary citation editor for the Pepperdine Law Review, and she was also an editor of the Harvard Journal of Law & Public Policy. Ms. Bennett’s writings have been published in the Public Discourse and Ethika Politika. She holds a B.M. in Commercial Music and a J.D. from Pepperdine University School of Law. Matthew Brooker clerks for Judge J. Harvie Wilkinson III at the U.S. Court of Appeals for the Fourth Circuit. Mr. Brooker has previously worked as a summer associate at Kirkland & Ellis LLP and McGuireWoods LLP, where he drafted appellate briefs and legal memoranda on matters pending before federal courts of appeals and at the U.S. Supreme Court. 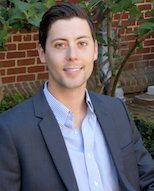 As a law student, he was an articles editor and clerkship coordinator for the Virginia Law Review. Mr. Brooker also served on the editorial board of the Virginia Journal of Social Policy & the Law and was a member of the Supreme Court Litigation Clinic. He holds a B.S. in History and Political Science from Northern Michigan University and a J.D. from the University of Virginia School of Law. Spencer Churchill is an associate at Baker & McKenzie, where he advises major multinational companies in the defense, medical, and construction industries on the Foreign Corrupt Practices Act and other foreign and domestic anti-corruption laws. Mr. Churchill will soon clerk for Judge Jennifer Walker Elrod at the U.S. Court of Appeals for the Fifth Circuit. As a law student, he served as executive editor and notes editor of the Harvard Journal of Law & Public Policy. He holds a B.A in American Politics and Policy from Patrick Henry College and a J.D. from Harvard Law School. R. Sohan Dasgupta will first clerk for Judge David Faber of the U.S. District Court for the Southern District of West Virginia and then for Judge Consuelo Callahan of the U.S. Court of Appeals for the Ninth Circuit. 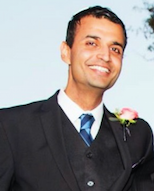 As a law student, Dr. Dasgupta served as executive editor of the Harvard Journal of Law & Public Policy and the executive editor of the Berkeley Journal of International Law. He is also the author of the monograph International Interplay: The Future of Expropriation Across International Dispute Settlement (2013) and served as chief draftsman of a draft constitution of Tunisia on behalf of a think tank. He holds a B.A. in Economics-Industrial Engineering Operations Research and History from Columbia University, an M.Sc. in Social Policy from the University of Oxford, a Ph.D. in International Law from the University of Cambridge, and a J.D. from the University of California at Berkeley School of Law. 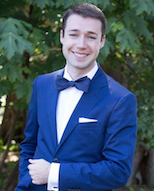 Josh Divine graduated from Yale Law School in 2016, where he was a senior editor of the Yale Law Journal. Mr. Divine will soon clerk for Judge William H. Pryor of the U.S. Court of Appeals for the Eleventh Circuit. 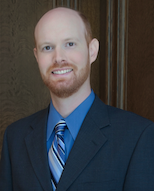 He previously served as a summer associate at both Jones Day and Bancroft PLLC. Mr. Divine has also clerked at the U.S. Attorney’s Office for the District of Connecticut. He holds a B.S. in Mathematics from the University of Northern Colorado. 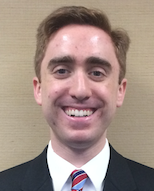 T. Elliot Gaiser is a law student at the University of Chicago and will clerk for the Judge Edith Jones on the U.S. Court of Appeals for the Fifth Circuit. Mr. Gaiser has worked as a summer associate at Cleary Gottlieb Steen & Hamilton LLP, where he focused on antitrust challenges to state licensing practices. He has also clerked for the Ohio attorney general, where he drafted two briefs for the Ohio Supreme Court. Before law school, he worked as a graduate fellow covering anti-poverty and immigration issues at The Heritage Foundation and hosted an online radio podcast, Conservative Private Radio, featuring interviews with guests such as Steve Forbes, Star Parker, and Juan Williams. He has written for the American Spectator, The Federalist, the Orange County Register, and PJMedia. He holds a B.A. in Political Economy and Speech Studies from Hillsdale College. Alexandra Harrison is clerking for Justice Allison Eid at the Colorado Supreme Court and will clerk for Judge Jennifer Walker Elrod at the U.S. Court of Appeals for the Fifth Circuit. 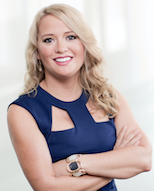 Ms. Harrison has worked as a summer associate for Akin Gump Strauss Hauer & Feld LLP and the Texas Lobby Group. 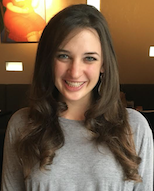 As a law student, she served as editor-in-chief of the Texas Review of Law & Politics. Ms. Harrison has also interned for the T.V. show What Not to Wear, the office of John Cornyn at the Senate Judiciary Committee, and the Texas House Republican Caucus, where she served as assistant council and specialized in firearms legislation. She holds a B.A. in Politics, Philosophy, and Economics from The King’s College and a J.D. from the University of Texas School of Law. Kian Hudson is clerking for Judge Diane Sykes at the U.S. Court of Appeals for the Seventh Circuit. Mr. Hudson has previously clerked for the office of Senator Chuck Grassley, where he investigated the judicial philosophies and qualifications of federal judiciary nominees by perusing nominees’ publications and formulating committee hearing questions. He has also clerked for the Indiana solicitor general, where he drafted briefs and composed memoranda concerning states’ rights, taxes, and historical legislative prayer practices. He holds a B.A. in Communication Studies and Political Science and a J.D. from Yale Law School. 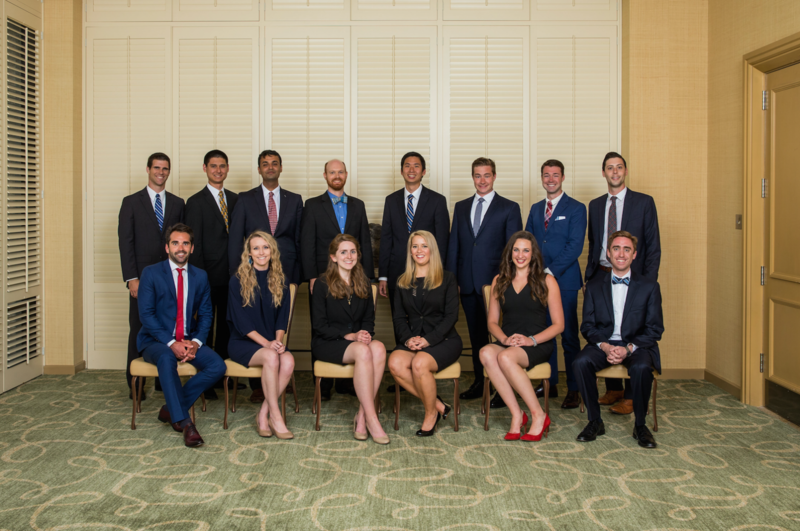 Brittney Lane is an associate for O’Melveny & Myers LLP, and she previously clerked for Judge Diarmuid F. O’Scannlain at the U.S. Court of Appeals for the Ninth Circuit and for Judge Jeffrey S. Sutton at the U.S. Court of Appeals for the Sixth Circuit. 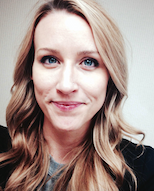 As a law student, she was note and comment editor for the Pepperdine Law Review. She holds a B.A. in Psychology and Language Citation in Spanish and a J.D. from Pepperdine University School of Law. Brian Lipshutz is clerking for Judge William H. Pryor of the U.S. Court of Appeals for the Eleventh Circuit. 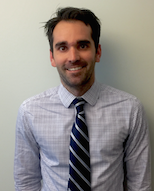 Mr. Lipshutz will join Gibson, Dunn & Crutcher as an associate in the fall of 2016. 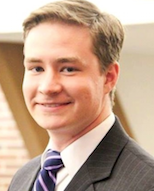 As a law student, he volunteered on Senator Tom Cotton’s campaign and interned at the Becket Fund for Religious Liberty. He was also a comments editor for the Yale Law Journal. He holds an A.B. in Politics from Princeton University and a J.D. from Yale Law School. 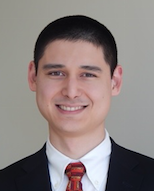 Cory Liu is clerking for Judge Danny J. Boggs at the U.S. Court of Appeals for the Sixth Circuit. Mr. Liu has previously worked for Texas Governor Greg Abbott, U.S. Senator Ted Cruz, and Texas Supreme Court Justice Don Willett. He has also served as a law clerk at the Texas Solicitor General’s Office. 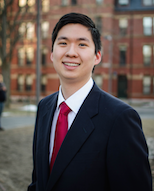 As a law student, he was editor-in-chief of the Harvard Journal of Law & Public Policy. He holds an A.B. in Political Science and Philosophy from the University of Chicago and a J.D. from Harvard Law School. Bradley Masters is clerking for Judge Janice Rogers Brown at the U.S. Court of Appeals for the D.C. Circuit, and he has previously clerked for Justice Thomas Rex Lee at the Utah Supreme Court. 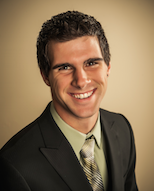 Following his clerkships, he will join Williams & Connolly LLP as an associate. In law school, he was the lead articles editor of the Brigham Young University Law Review. Mr. Masters holds a B.A. in Political Science and J.D. from Brigham Young University. Joel Stonedale works with the Center for the American Future at the Texas Public Policy Foundation (TPPF), where he manages cases involving federalism, property rights, and free speech. Before joining TPPF, Mr. Stonedale clerked for Judge Jerry E. Smith at the U.S. Court of Appeals for the Fifth Circuit. He was also a litigation associate at McKool Smith, where he drafted appellate briefs, claim construction briefs, and motions in complex patent infringement and commercial cases. He holds a B.S. in Biology, a B.A. in the Plan II Honors Program from the University of Texas at Austin, and a J.D. from the University of Chicago.